Qualex-Landmark, developers of MARK on 10th, announced today that an original Douglas Coupland artwork has been commissioned for the new downtown Calgary condo project. Alberta's first large-scale Coupland art commission will present an interpretation of Calgary in the 21st century and will be revealed in January 2013. Douglas Coupland is an internationally renowned Canadian novelist, visual artist and designer. His work has been published in 30 countries and translated into 22 languages. His first novel in 1991 was Generation X: Tales for an Accelerated Culture. He has published thirteen novels, a collection of short stories, seven nonfiction books and a number of dramatic works and screenplays for film and television. "We are excited to announce that Douglas Coupland is creating artwork for Qualex-Landmark's downtown Calgary condo project," says Roger Navabi, president, Qualex-Landmark, "Commissioning an artist of his stature to create an art piece for MARK enables us to play a role in developing the emerging Design District that is energizing this area of Calgary's downtown." In 2001, Coupland began a visual practice that merges art with design, industrial design and text. While this is his first large-scale art commission in Alberta, other Coupland pieces include: Digital Orca at the new Vancouver Convention Centre, Monument to the War of 1812 near Fort York in Toronto, Group Portrait 1957 in Oshawa, and several pieces including Tom Thomson's Canoe for Canoe Landing Park in Toronto. 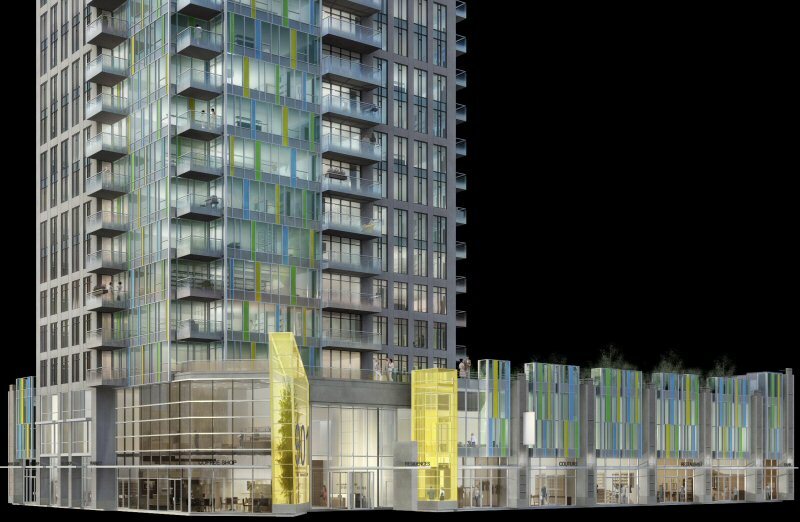 MARK, located at the corner of 8th Street and 10th Avenue SW, is Qualex-Landmark's fifth high profile residential development in Calgary's Beltline District. MARK is a downtown Calgary condo project with a mixed-use high-rise tower offering one and two bedroom homes starting from the low $200's. With its close proximity to downtown, universities, transportation, and entertainment districts it's location offers all the perks of urban living. With its rooftop fitness club and lounge, offering panoramic views of Calgary's downtown and the surrounding mountains, an expansive urban garden on the third floor podium and several specialty retail services, MARK combines unique amenities with a convenient downtown location. Full media kit here. (background, fact sheet, photos). Limited email interviews may be available with Douglas Coupland. See media contact for details. 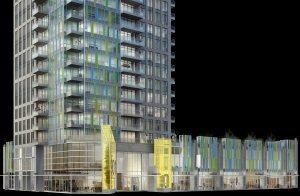 MARK on 10th is a downtown condominium project in Calgary's emerging Design District being developed by Qualex-Landmark. It is located at 10th Avenue and 8th Street SW and offers luxurious urban homes with superior amenities, breath-taking views and accessible price points. MARK is the fifth Calgary condo development from Qualex-Landmark. Rendering of MARK on 10th, a new downtown Calgary condo project by Qualex-Landmark in the Design District. MARK has commissioned Douglas Coupland for artwork for the building.